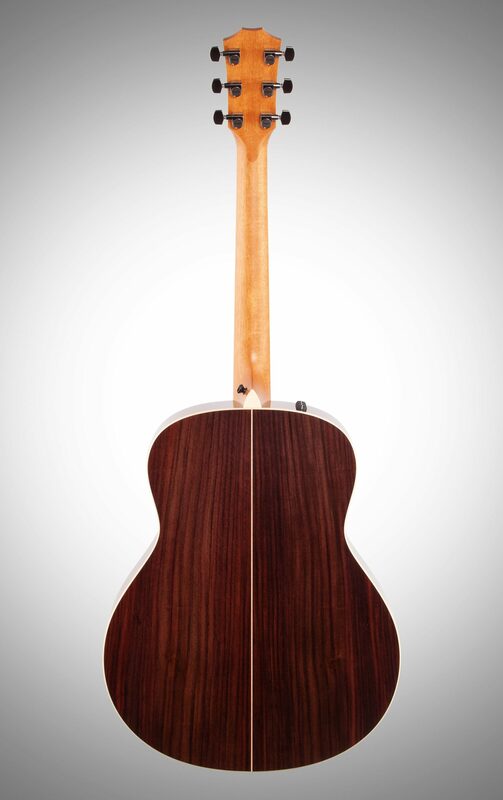 This could very well be the last acoustic-electric axe you'll ever own. 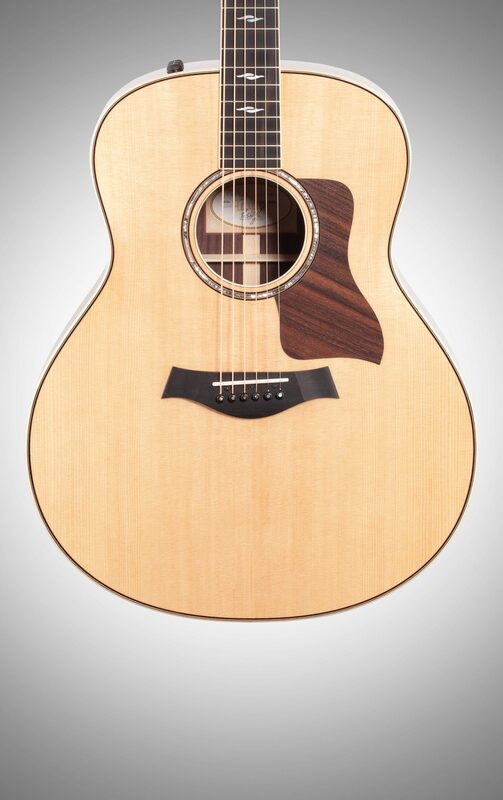 Your Taylor 818e Grand Orchestra acoustic-electric guitar is tricked out to the max with a whole host of features to deliver the ultimate in playability and pristine Taylor tone. 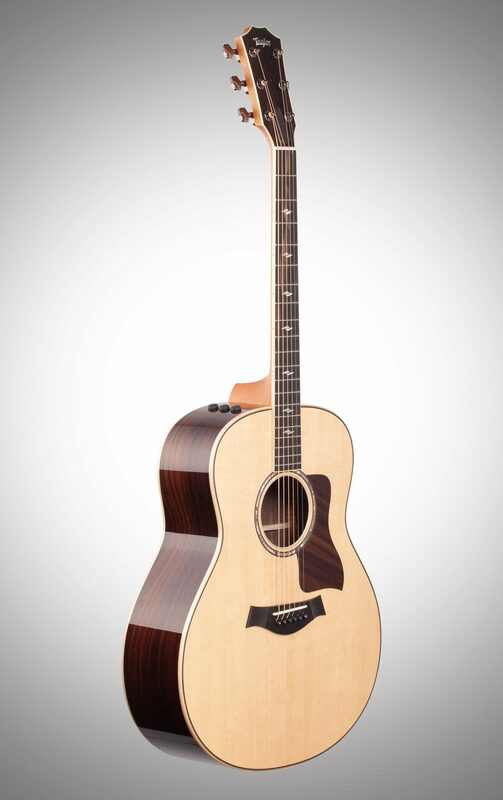 This beauty boasts a solid Sitka-spruce-topped body in a powerfully resonant Grand Orchestra shape, solid Indian rosewood back and sides, a beautiful abalone rosette outlined with rosewood, a comfortable tropical mahogany neck, a smooth light marble ebony fretboard with 20 frets of razor-thin action, a classy rosewood pickguard, and Taylor's unsurpassed Expression System 2 electronics. You'll wonder where this baby has been all your life the minute you strum your very first chord. Just one look at this work of art and your heart will swoon. 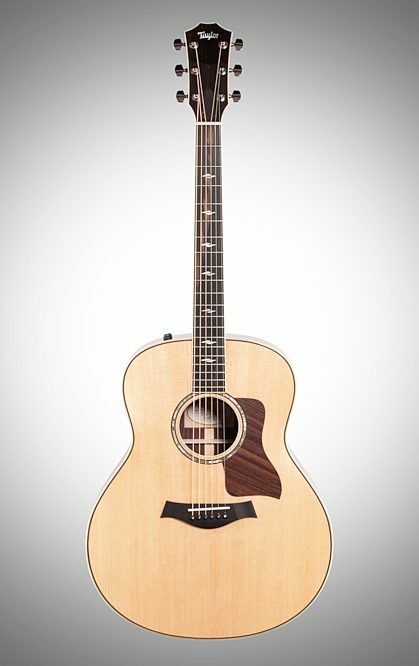 Your Taylor 818e Grand Orchestra acoustic-electric's Sitka spruce top offers a light and distinct grain pattern that holds up well against scratches and dings, and hosts a striking abalone rosette outlined with rosewood and Taylor's distinctive contrasting rosewood pickguard. Topping everything off are attractive mother-of-pearl "Element" inlays across your 818e's ebony fingerboard, just below your six shiny Taylor nickel tuners. 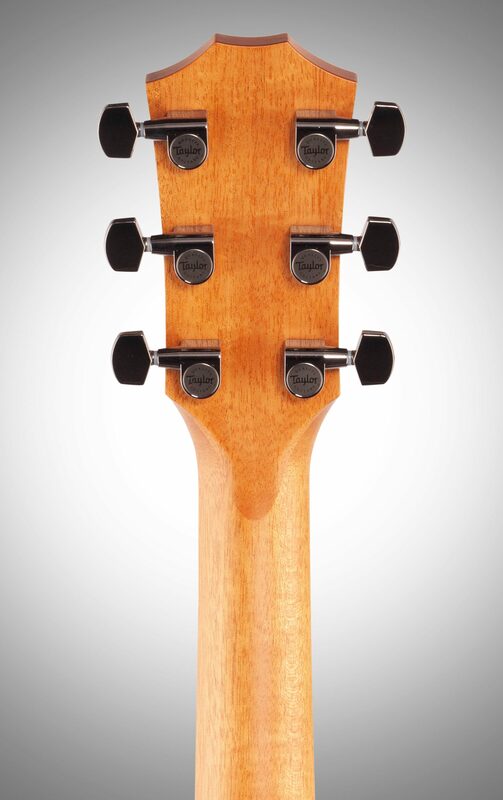 Sitka spruce offers an alluring mellowness with a slow and steady response to your playing, with just enough bite when you bring in some more aggressive strumming. 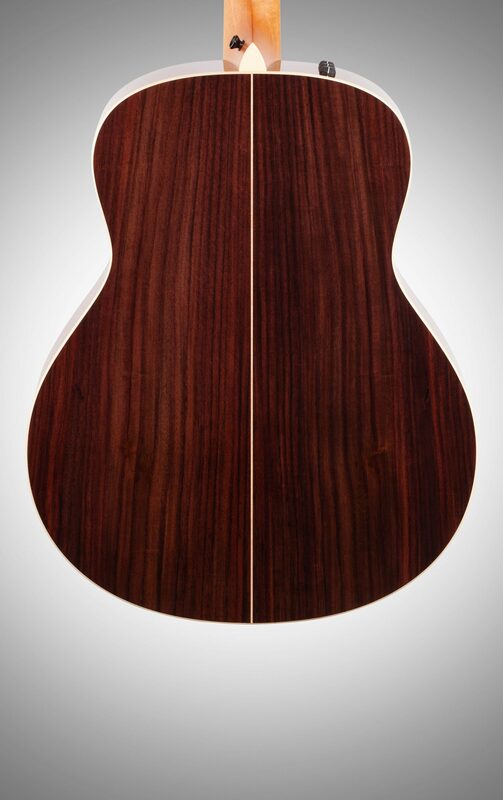 Indian rosewood provides a nice and well-rounded body with pleasant lows and mids for an overall deep and rich sound. Rosewood also has a beautiful linear grain pattern and dark look that adds as much visual color as it does tonal color. Brought together in Taylor's jumbo-sized Grand Orchestra body shape, these classic tonewoods produce a big, bold sound that remains truly balanced, thanks to Taylor's innovative bracing pattern. 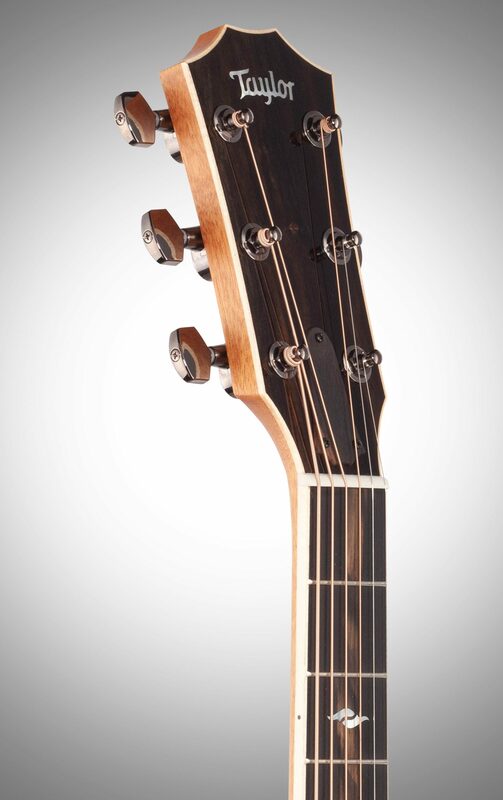 Taylor's Expression System 2 electronics feature a patented behind-the-saddle complement of three individually positioned and calibrated pickups. These babies utilize Taylor's custom designed professional-audio-grade preamp system for a clean and pristine signal treatment for your amp or PA. system. As with the original Expression System, the Expression System 2 setup gives you easy access to volume and tone controls, but the gain for the ES 2 system is about 25% hotter. 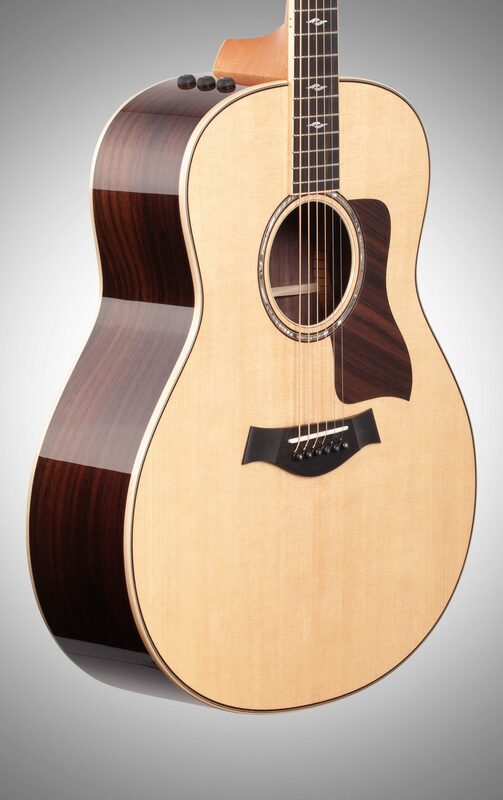 Resting comfortably in your hand is your Taylor 818e's dark and sturdy tropical mahogany neck. Longer sustain and a seamless transfer of sound are always at your disposal with every note or chord. A dazzling and smooth lightly marbled ebony fretboard eagerly welcomes your fingers for an enjoyable ride of ultimate playability, and a close and tight action along this appendage's 20 frets makes lightning-fast runs a feat within grasp. - Body Length: 20 5/8"
- Body Width: 16 3/4"
Taylor's Grand Orchestra has proven that a big-bodied guitar can also be responsive and versatile. The 818e showcases rosewood's rich tonal dimensions in a bold and complex package made even more dynamic with voicing refinements. For solo performers or scaled down acoustic acts whose guitars do the work of a backing band, the 818e offers a multi-dimensional stage partner. High-end aesthetic details include maple binding and back strip, rosewood top edge trim, rosewood pickguard, mother-of-pearl Element fretboard inlay, smoky ebony fretboard, and Expression System 2 acoustic electronics.